I recently came back from our first time participation at the Latin America Heritage Camp. My reaction: O....M...G.....!!!!!!!! If you are a family with adopted children from Latin America or an adopted child yourself please seriously consider this experience. I was introduced to the camp by Denise one of my first loved readers (and whom I had the great pleasure to meet at the camp). She told me about the camp and told the camp people about me. Happily, that translated into becoming a presenter at the LAHC 2010. I didn´t have a clear vision of what the camp was going to be like, but whatever that might be it was exceeded to the 'n' potent. The experience was unique and fulfilling in so many ways. One, I had never been to a camp, since there are no summer camps in Guatemala (yet!). As some of you might now because of my family´s business (English Language Schools) I grew up with more ties to the American Culture than an average Guatemalan, ie I had a subscription the World Magazine (The National Geographic kids version). There I read and saw pictures of camps and always dreamt of attending one. Now I have, and more exciting even, my kids have too! 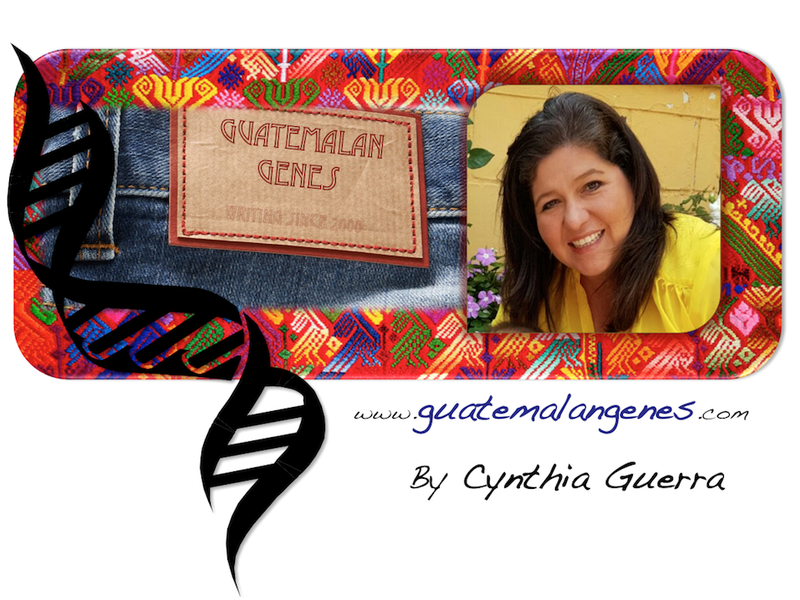 Reason number two, the opportunity to share about Guatemala, to continue giving meaning to Guatemalan Genes and its mission. It was literally a surreal experience when somebody approached me and said "Hi, I am such and such, I follow your blog and I love it". Reason number three, to see the faces of love and struggle of parents and children and know I am not alone. Our Alex, our adopted son, is going through such a rough go that sometimes hope and faith start running low and this experience was a gas stop. I do have to say, even though I know my husband hates this 'what if' comments, that if I had known about this camp and had come every year with Alex it would have made a huge impact, more so than so many therapy sessions. The Camp happened June 24th - June 27th at the Snow Mountain Ranch in Granby, Colorado (just past Winter Park). During our time in Colorado we had season passes to Winter Park so we knew the area, but I had never been during summer and again O....M.... G.....!! what a setting. Here are some pictures of the view from the main gathering facility (KIVA) and our cabin. View from KIVA building, place of registration and main gatherings. Our cabin, Timberline, 8 presenters and our families shared the cabin: 21 adults and children. We arrived at the Camp Thursday at around 5pm, we registered and quickly went to our assigned cabin (the presenter´s cabin) to drop our bags and get ready for the welcoming dinner. The welcoming dinner is a casual gathering with abundant ingredients to make your own tacos plus already an excitement build up to what tomorrow will bring. We made our fist acquaintances: a wonderful couple, Belizean-American with and adopted daughter from Belize. We had a great conversation managing to keep any political Guatemala-Belize issues of the table :-) while the girls had a blast running and roller skating. That night back at the cabin we met our roommates and stayed up to yea hours of the night talking (more on this wonderful people in later posts). Dinner at KIVA. You don´t see a lot of people yet sitting down because we are in line for the food! Taco ingredients even for us vegetarians. I went to bed pinching myself, I couldn´t believe I was part of this amazing event! I can't wait to hear more about this! Could you please post information for families interested in attending next year? (Is there a website or something?) Thank you! Hello Tamara, I updated the post with the link to the LAHC. This was its 13th year! Cynthia - we loved having you part of LAHC this year and look forward to seeing you next year! Thanks for the great blog. We loved having you at LAHC this year and look forward to seeing you there for many more years! Hope to see you in Guatemala next week.